Pennsylvania State Senator Daylin Leach (D-17) is pushing legislation that would legalize marijuana in the Commonwealth, like Washington and Colorado. Of course, one should take into consideration the fact that Pennsylvania really is nothing like either Washington or Colorado, politically or otherwise. Well, all three states do have mountains, but that may be where the similarities end. Sen. Leach undoubtedly means well, and he is generally correct in his assertion that the most likely reason that the Pennsylvania legislature would pass such a measure would be for financial reasons. However, aiming directly for the legalization of marijuana in one of the few remaining states that maintains a stranglehold on the sale of wine and spirits is a bit... well... crazy. Before talking about the Commonwealth taking over the control and sale of yet another vice, maybe it would be a good idea to sell off the liquor stores to private vendors first. Sure, there might be an argument for combining the two, for the sake of convenience. Well, maybe not. While Pennsylvania probably isn't ready for Sen. Leach's proposal, according to Opposing Views, the pro-legalization organization NORML is quite happy with the Senator. Other than the fact that the people pictured on the NORML website might make one think of that old REM tune, "Shiny, Happy People", the organization seems to be fairly dedicated to its cause. Whether or not it's taken very seriously in Pennsylvania remains to be seen. It might not be a good idea to send certain members of its advisory board, though - like half of the comedy team, Cheech and Chong. Yes, it would be nice to see the courts in Pennsylvania lose quite a few cases of low-level marijuana possession from the dockets. It would be lovely to see fewer people have trouble finding gainful employment due to a past history with these sorts of crimes. And, like anywhere else in this country, it would be nice to see some revenue to offset the cost of enforcement and punishment for drug-related crimes. And there are some places in this country that are probably ready to deal with this sort of change. Unfortunately, Pennsylvania simply isn't anywhere close to being ready for this. As mentioned previously, the Commonwealth doesn't trust trade of wine and spirits to the private sector. Sen. Leach might be assuming that the distribution of legal marijuana would occur only in state-owned facilities. If that is the case, then that alone is a good reason to turn down this measure. Regardless, it is delusional to think that lawmakers in Pennsylvania would pass this sort of law while failing to give up state control of liquor sales even a little. Roger Stone says he will decide by the end of the year whether he will run for governor of Florida on the Libertarian Party ticket in 2014. And if he decides to run, the colorful former Republican operative who has a tattoo of Richard Nixon on his back tells The Daily Caller he’d make marijuana a big focus of his campaign. In fact, the former Nixon aide says he’d like to announce his decision about whether he will run during the annual Hempfest at Florida State University in 2014 on April 20, a day in which marijuana enthusiasts typically smoke vast amounts of pot. Stone also told TheDC that if he ran, he’d like to put a constitutional amendment on the ballot for medicinal marijuana in 2014 in order to get the pro-pot voters to the polls. He pointed out that the Libertarian Party in Florida has 38,000 registered members. In 2014, Republican Gov. Rick Scott is expected to run for re-election. Former Republican governor and recent convert to the Democratic Party Charlie Crist is also expected to ponder a campaign to return to the office. “I’d love to debate CRIST and SCOTT,” Stone told TheDC in an email Thursday. At 3rd Coast Compassion Center in Ypsilanti -- one of an estimated 100 medical marijuana dispensaries in Michigan -- it was business as usual Friday despite a court ruling that could be the death knell for such shops. "We're still trying to figure out what the decision means," said Jamie Lowell, co-owner of 3rd Coast. Nearby, medical marijuana users like Marchell Bauer, 56, of Wayne milled about, viewing and sniffing merchandise with names such as Moonshine Haze and Tangerine Trainwreck -- each specially priced this week, according to the club's Facebook site, for "donations" of $10 to $15 a gram. "Ultimately, we're a private club," not a public store, Lowell said. Still, he was unsure Friday whether he could stay in business. In a decision expected to affect tens of thousands of medical marijuana users across Michigan, the Michigan Supreme Court ruled that dispensaries can't sell pot, except within tight limitations spelled out in the state medical marijuana act. For state-registered users like Bauer, who said she suffers from chronic pain related to spinal surgery and glaucoma, the ruling means access to pot is likely to narrow. Many longtime marijuana activists and their defense attorneys said the ruling appeared to spell the end of dispensaries. "I did read the opinion and it's not pretty, but I was sort of expecting this," said Tim Beck of Detroit, a retired health insurance executive who helped write the ballot proposal that voters approved in 2008. "What we said originally in the plain language of the act was that the only way a person could get medical marijuana was by either growing their own or getting it from a caregiver" -- an approved provider who is tied to just five patients on the state registry, Beck said. "We thought the word 'dispensary' was just too dangerous and would cause us to lose at the polls," he said. Echoing that were key defense attorneys for the medical marijuana community. "A lot of cases have been stayed in circuit courts around the state, waiting for this decision," said Grosse Pointe Park criminal defense attorney Paul Tylenda. "Now, honestly, this isn't the help that these clients were looking for," Tylenda said. He represents four clients charged with operating illegal dispensaries, two in Oakland County and two outstate, he said Friday. According to the ruling, the only legal sales of medical marijuana in Michigan are those specifically allowed in the state act. It states that as many as five state-approved users may register with a single state-approved caregiver, who then becomes a long-term provider of the drug -- but only to those five users. The ruling was hailed by Michigan Attorney General Bill Schuette, who said it showed that the state act passed by voters in 2008 is "not an open door to unrestricted retail marijuana sales." "Dispensaries will have to close their doors," Schette said in a statement. Still, some supporters of medical marijuana held out cautious hope that dispensaries, in some form, could continue to operate. The act that Michigan voters approved by a 63% margin did not include the words "sale" or "dispensary." Despite that, hundreds of retail outlets for medical marijuana quickly sprang up across the state. As police and prosecutors in some counties began raiding the outlets, some began calling themselves clubs, requiring membership fees and keeping doors locked to strangers. In 2011, some began closing their doors when the state Appeals Court decided against dispensaries, ruling on the same Isabella County case whose final decision came Friday from the state Supreme Court, said medical marijuana advocate Rick Thompson of Flint. Friday's decision "will probably cause another wave of closings, but I don't think this is the end of dispensaries in Michigan," said Thompson, editor of the online magazine Compassion Chronicles, aimed at Michigan's medical marijuana users. Dispensaries might survive if they manage to stick closely to the business model allowed in the act -- one caregiver tied to five users, Thompson said. Friday's ruling involved what the justices termed a "membership organization," called Compassionate Apothecary in Mt. Pleasant. Only state-registered caregivers and patients could join, according to court documents. Members of Compassionate Apothecary rented lockers from the owners, whenever they'd grown more marijuana than they needed, and the two owners provided what amounted to a type of dispensary, with a display room and a station for weighing and packaging the drug. The Compassionate Apothecary owners would then take a service fee for each transaction, according to court documents. The owners of the dispensary won their case in Isabella County Circuit Court but lost in the state Court of Appeals in 2011 and again lost, on slightly different grounds, in Friday's ruling. Still, both rulings mean that Compassionate Apothecary is defunct and its owners face felony drug charges, attorneys familiar with the case said. Fear of a similar outcome loomed in Ypsilanti at 3rd Coast Compassion Center, where the co-owner Lowell said he was not positive he could stay open without fear of prosecution. "We took an empty building, fixed it up and hired four employees to work here, all to help people with their health care choices," he said. "People are meeting this weekend, lawyers are in correspondence with this community, but we really need to figure something out. You can't just cut patients off from their health care," Lowell said. A bill pending in the state Legislature would allow dispensaries in Michigan. "Now it's really time for all of us to get behind that," Lowell said. WASHINGTON/LOS ANGELES (Reuters) - The medical marijuana shop next to a tattoo parlor on a busy street in Los Angeles looks much like hundreds of other pot dispensaries that dot the city. His office said Monday it doesn’t yet have an estimate of how much the taxes might bring in. But a policy paper Blumenauer and Polis are releasing this week suggests, based on admittedly vague estimates, that a federal tax of $50 per ounce could raise $20 billion a year. They call for directing the money to law enforcement, substance abuse treatment and the national debt. Last fall’s votes in Colorado and Washington state to legalize recreational marijuana should push Congress to end the 75-year federal pot prohibition, Blumenauer said. Advocates who are working with the lawmakers acknowledge it could take years for any changes to get through Congress, but they’re encouraged by recent developments. Senate Minority Leader Mitch McConnell last week came out in support of efforts to legalize hemp in his home state of Kentucky, and U.S. Rep. Dana Rohrabacher, R-Calif., is expected to introduce legislation allowing states to set their own policy on marijuana. Senate Judiciary Chairman Patrick Leahy, D-Vt., has indicated he plans to hold a hearing on the conflict between state and federal marijuana laws and has urged an end to federal “mandatory minimum” sentences that lead to long prison stints for drug crimes. The Justice Department hasn’t said how it plans to respond to the votes in Washington and Colorado. It could sue to block the states from issuing licenses to marijuana growers, processors and retail stores, on the grounds that doing so would conflict with federal drug law. Blumenauer and Polis’ paper urges a number of changes, including altering tax codes to let marijuana dispensaries deduct business expenses on federal taxes, and making it easier for marijuana-related businesses to get bank accounts. Many operate on a cash basis because federally insured banks won’t work with them, they noted. The measures have little chance of passing, said Kevin Sabet, a former White House drug policy adviser. 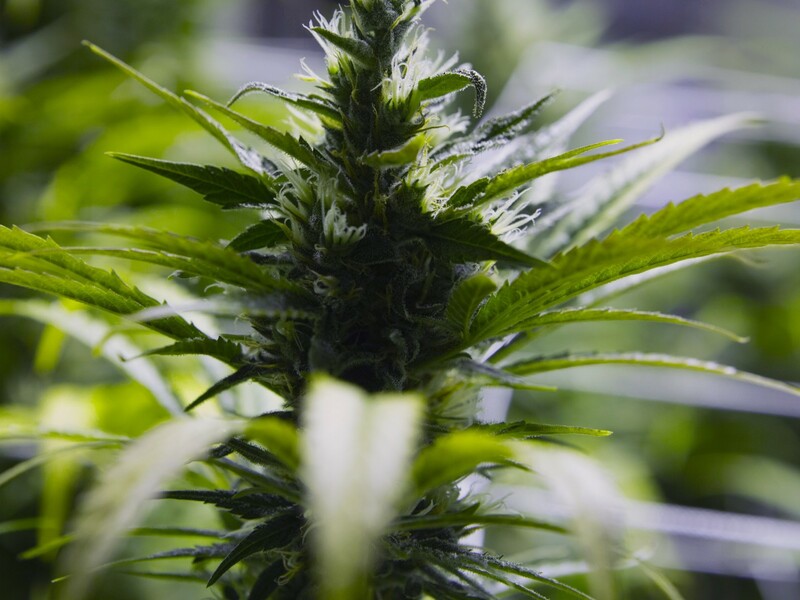 Sabet recently joined former Rhode Island Rep. Patrick Kennedy and former President George W. Bush speechwriter David Frum in forming a group called Project SAM — for “smart approaches to marijuana” — to counter the growing legalization movement. Sabet noted that previous federal legalization measures have always failed. “These are really extreme solutions to the marijuana problem we have in this country,” Sabet said. “The marijuana problem we have is a problem of addiction among kids, and stigma of people who have a criminal record for marijuana crimes. Project SAM suggests people shouldn’t get criminal records for small-time marijuana offenses, but instead could face probation or treatment. I just wanted to remind our followers and supporters who have expressed concern that, yes, the Ohio Rights Group is still pushing hard for Medical Cannabis rights in Ohio. You may have noticed that much of the content on our website has had to do with the benefits of Industrial Hemp. Since late last year, we decided that to only fight for one use of the plant was falling short of fully realizing the benefits that this amazing plant could bring to the citizens of Ohio. We are of the mindset that separating marijuana and hemp is difficult, if not impossible. They are one plant – Cannabis. For example, the non-psychoactive plant (hemp, if you will) can contain significantly more CBD (cannabidiol), the component of Cannabis now believed to have significant therapeutic potential, particularly for the treatment of breast cancer. http://www.ncbi.nlm.nih.gov/pubmed/21566064 Science is teaching us that the therapeutic applications of Cannabis significantly miss the mark when they exclude what hemp (CBD) has to offer. If you read our draft ballot language, you will see that we fully intend to establish the rights for eligible Ohioans to grow, process, sell, and consume cannabis for therapeutic treatment of serious illnesses. So please don't be dismayed or disheartened by the Industrial Hemp content on our website. We've not forgotten our ailing supporters. We've simply expanded our tent to include all of the 50,000+ uses that we currently know of and this ballot measure will also leave open the door for all the uses yet to be discovered. I challenge anybody out there to show me a superior effort to change the laws in Ohio for the benefit of Cannabis patients. A better, smarter ballot measure simply does not exist. There are competing measures out there, but all of them have serious fatal flaws that will render them DOA on the Secretary of State's doorstep. We will be demonstrating this fact in the weeks to come so stay tuned. In recent weeks, we have seen a shift in how drug war proponents are talking about marijuana. No longer able to convince the public that people who use marijuana should go to jail, they are singing a new tune; they should all go to treatment. This is a shift we have seen before. When marijuana first came on the scene in the U.S. in the early 1900s, reports of marijuana induced violence among Mexicans fueled the nation’s fear about the little known plant. When the general population started experimenting with the herb in the 1920s, it became clear that the claims of violence were fabricated. Losing the ability to instill fear in the public around marijuana use, the message was modified. The new message tied marijuana use to insanity and mental illness, which were highly stigmatized conditions, and continue to be. Being labeled as mentally ill frightened the white, middle class, marijuana consumers, and this fear led to the support of the Marijuana Tax Act in 1937. Fast forward to 2012. Public support for marijuana legalization is at an all-time high and the government acknowledges that a change is being considered. No longer able to convince Americans that marijuana consumers are dangerous criminals who deserve to be locked up, history is repeating itself. We are seeing a shift in the message, from marijuana consumers as criminals to marijuana consumers as sick people who belong in treatment. It’s a propaganda shell game and we can’t fall for it again. A recent article in the New York Times quoted Dr. Nora Volkow, the head of the National Institute on Drug Abuse as saying that 1 out of 6 adolescents who try marijuana will become addicted. That is akin to saying, if you keep making that face, it will freeze that way. In fact, a mere 2.8% of 12-17 year olds who used marijuana in 2010 entered treatment for it, and many of those cases could be the result of an agreement between the courts and the defendant in lieu of involvement with the juvenile justice system. When looking at the broader landscape of marijuana use, we see that 1.1% of marijuana users 12 and older in 2010 went to treatment for the substance. We also saw twice as many arrested for simple marijuana possession that year than enter treatment for marijuana dependence (750,000 vs. 335,833). The claim that marijuana causes mental illness, or that all marijuana consumers are addicted and in need of treatment undermines the efforts by mental health and addictions professionals to address the serious illnesses and addictions that pose real threats to persons and society. On its face, this statement is not so outrageous, but upon closer look it is frightening for two reasons. First, although increased funding for mental health services and substance abuse treatment can be beneficial, according to a 2008 report, 90% of those who currently need substance abuse treatment do not receive it, this compares to 24% of diabetes patients who do not receive treatment. It is estimated that 23 million people need addiction care, and only 2.3 million receive it. Forcing marijuana consumers into an already overloaded system will reduce the likelihood of care for those with serious, life threatening addictions. Furthermore, since approximately 37% of treatment referrals come from the criminal justice system, initiating a pipeline from the courtroom to treatment will result in a tidal wave of first time, young marijuana offenders entering substance abuse treatment to trade the label of criminal for addict. Secondly, Kennedy’s group refers to treatment for those “caught” with marijuana. This implies, that, under his plan, the U.S. will continue to seek out marijuana users, presumably via law enforcement. Or, perhaps Kennedy et al will institute a special marijuana task force charged with roaming the country in search of marijuana addicts. Whatever the case, SAM’s plan involves the active identification of marijuana consumers, followed by forced involvement in the system. Don’t be fooled, this is not a “new way” for marijuana, but rather a regressive old approach dressed in new clothes. Message from the President - the fuse is lit! I just wanted to update you all on where we are at and where we are going. Where we are at: We've finalized the language and are preparing our filings to the State of Ohio for approval to commence signature gathering. We are also rapidly developing our online presence and we have a small but growing group of talented techies developing our online presence which will be critical for our success. If you are a techie and wish to donate your services, we'd love to have your help, so please reach out and let us know your capabilities. Our media team is also developing so if you have media experience or equipment at your disposal, please let us know. Remember, this is going to be a statewide campaign so we can never have too much talent. We will find a way to use your services. We will have an online donation button up soon but for now, please send your donations to our physical address. We are a 501(c)(4) non-profit and you may review our incorporation records at the Ohio Secretary of State website. This is going to happen Ohio, but not if you sit on the sidelines. Think of the sick and suffering who need help now. Think of the unemployed who need good paying jobs now. Think of the imprisoned who are in need of freedom now. Don't be a spectator. We are going to make history, Ohio. Be a part of it. Volunteer or donate today. Article XV: Section 12. Medical, therapeutic and industrial use of Cannabis. (A) Residents of the State of Ohio, who have attained the age of majority and who are diagnosed with a debilitating medical condition, shall be eligible residents for the purpose of making therapeutic use of the genus Cannabis, also known as medical marijuana or marihuana, currently defined in Section 3719.01 of the Revised Code, hereinafter referred to as therapeutic, to alleviate their suffering. Residents of the State of Ohio, who are under the age of majority and who are diagnosed with a debilitating medical condition, may be eligible residents with the prior written consent of a parent or guardian. (B) Eligible residents shall have the right to make therapeutic use of Cannabis to alleviate their suffering and to possess an amount of Cannabis sufficient to meet their therapeutic needs. (C) Eligible residents shall have the right to be free of discrimination and interference from the State of Ohio with regard to their therapeutic use of Cannabis; medical necessity shall be deemed an affirmative defense in a court of law. (D) Eligible residents shall have the right to privacy and confidentiality with respect to their therapeutic use of Cannabis, including but not limited to any records kept by the State pertaining to such use. (E) Eligible residents who make therapeutic use of Cannabis shall have the right to produce their own Cannabis, and to acquire Cannabis sufficient to alleviate their suffering from state-licensed providers without fear of arrest, prosecution or undue interference by the state. (F) Eligible residents shall have the right to access goods and services to enable their therapeutic use of Cannabis. (G) Within the State of Ohio, it shall be a legal right for individuals or organizations, deemed eligible by the Ohio Commission of Cannabis Control, to grow, process, distribute, transport, purchase or sell Cannabis for therapeutic use in various forms to eligible residents according to rules and regulations as established by the Ohio Commission of Cannabis Control. (H) Residents of the State of Ohio, deemed eligible by the Ohio Department of Agriculture under Section 3(E), shall have the right to produce non-psychoactive Cannabis, also known as hemp, for industrial use including, but not limited to paper, fuel, foods, building materials and clothing. With this right, Cannabis for industrial use is hereby removed from any schedule or classification system in the State of Ohio wherein it is listed as a drug. (I) These rights shall not be abridged, and the State of Ohio shall support, uphold and defend these rights, notwithstanding Federal Patents, in accordance with the Health and Safety of Ohioans and the ninth and tenth amendments of the constitution of the United States of America. (A) Nothing in this Amendment requires the therapeutic use of Cannabis, or the industrial use of Cannabis; nor does this amendment invalidate existing anti-smoking laws. (B) Nothing in this Amendment shall prohibit the reasonable regulation and control of the commercial production and distribution of Cannabis for therapeutic use by the Ohio Commission of Cannabis Control as set forth in Section 3. (C) Nothing in this Amendment shall prohibit the reasonable regulation and control of the commercial production and distribution of Cannabis for industrial use as delegated by the Ohio Commission of Cannabis Control to the Ohio Department of Agriculture as set forth in Section 3. (D) Nothing in this Amendment shall prohibit the sale of Cannabis for therapeutic use or for industrial use to eligible residents; nor prevent research or educational institutions from studying the therapeutic properties of Cannabis; nor prevent research or educational institutions from studying the properties of Cannabis for industrial use; nor prohibit the reasonable application of fines or fees pursuant to the regulation and control of Cannabis within the State in accordance with Section 4. The sale of Cannabis for industrial use is sale of tangible personal property for purposes of the collection of State and local sales taxes. (E) Debilitating medical conditions include, but are not limited to the following diagnoses: glaucoma; multiple congenital cartilaginous exostosis; multiple sclerosis; nail-patella syndrome; positive status for human immunodeficiency virus and acquired immune deficiency syndrome (HIV/AIDS); Alzheimer’s disease; amyotrophic lateral sclerosis; cancer; celiac disease; Crohn’s disease; hepatitis C; mylomalacia; post traumatic stress; rheumatoid arthritis; sickle cell anemia; injury or disease to the spinal cord, spinal column, or vertebra; Tourette's syndrome; a chronic or debilitating disease or medical condition or its treatment that produces cachexia or wasting syndrome, severe or chronic pain, severe or chronic nausea, seizures, including those characteristic of epilepsy, or severe or persistent muscle spasms; depression; and any additional medical condition or its treatment that may be designated by the Commission or set forth by the General Assembly pursuant to Section 3. (F) Nothing in this Amendment authorizes any person to engage in, nor prohibits the imposition of civil, criminal or other penalties for undertaking any task under the influence of Cannabis, when doing so would constitute negligence or professional malpractice; or to operate, navigate or be in actual physical control of any motorized conveyance while under the influence of Cannabis. (G) An eligible resident shall not be considered to be under the influence of Cannabis for therapeutic use solely because of the presence of active or inactive metabolites of Cannabis in the eligible resident’s urine, blood, tissue, hair or skin or as detectable by any other measure of body chemistry. The legal definition of impairment as a result of the therapeutic use of Cannabis and the applicable testing to determine such impairment shall be based on scientific evidence of impairment. (A) There is hereby created the Ohio Commission of Cannabis Control, which shall support and uphold the rights enumerated in Section 1; shall serve the public interest; shall license, regulate and control Cannabis for therapeutic use in Ohio; and shall ensure statewide compliance with this Amendment. (B) The appointments to the Board of the Commission shall total nine members: three members to serve initial four year terms, three members to serve initial three year terms and three members to serve initial two year terms. Two members are to be registered Ohio voters, who shall also be eligible residents for the therapeutic use of Cannabis after regulations to be established by the Commission are in effect; two members are to be Ohio farmers, one of whom shall be a license or permit holder after implementation of a licensing and permitting system by the Commission and one of whom shall be a license or permit holder after implementation of a licensing and permitting system by the Ohio Department of Agriculture under Section 3(E); one member is to be a licensed medical practitioner; one member is to be a licensed mental health professional; one member is to be a full time law enforcement officer in the State of Ohio; one member is to represent the Ohio Department of Agriculture; and one member is to represent the Ohio Civil Rights Commission. Each Commissioner shall be a registered Ohio voter and shall be required to publicly disclose all corporate affiliations. No more than four (4) members shall be affiliated with the same political party. Initial appointments of the two registered Ohio voters, the two Ohio farmers, the licensed medical practitioner and the licensed mental health professional shall be selected by the Committee to Represent the Petitioners for this Amendment. Initial appointments of a full time law enforcement officer, the member to represent the Ohio Department of Agriculture and the member to represent the Ohio Civil Rights Commission shall be selected by the governor or, if not appointed within sixty (60) days of an affirmative vote by the electors of the state, by the Committee to Represent the Petitioners. Succeeding terms of the Commission shall be three years in length. No vacancy in the Commission shall impair the right of the remaining Commissioners to exercise all powers of the Commission. (C) The Board of the Commission shall be duly constituted and conduct its first official meeting within ninety (90) days of an affirmative vote by the electors of the state. Regulations and licensing and permitting systems shall be implemented by the Commission within one hundred and eighty (180) days of an affirmative vote. Meetings of the Commission shall be open to the public and a matter of public record. The Commission shall issue to the General Assembly an annual report concerning its activities during the prior year. (D) The Commissioners shall have the authority to enact and amend regulations, recommendations or findings as they pertain to Cannabis for therapeutic use in accordance with this Amendment, and to the procedures in the Ohio Administrative Procedure Act. The Commission shall license or authorize other personnel within the state to regulate Cannabis for therapeutic use and Cannabis for industrial use. (E) The Commission shall delegate the authority to enact and amend regulations, recommendations or findings as they pertain to Cannabis for industrial use in accordance with this Amendment to the Ohio Department of Agriculture. The Department shall have regulations in effect and the licensing and permitting systems implemented according to the time table in Section 3(C). (F) The proposed regulations shall support, uphold and defend the Rights enumerated in Section 1 and shall include provisions for the protection from arrest and prosecution of eligible residents, providers, farmers and other entities who provide legal access to Cannabis for therapeutic use and to Cannabis for industrial use. (A) Regulatory fees, licensing fees, permit fees and fines for the therapeutic use of Cannabis shall be determined by the Commission. Regulatory fees, licensing fees, permit fees and fines for the industrial use of Cannabis shall be determined by the Ohio Department of Agriculture pursuant to Section 3(E). (B) All operating expenses of the Commission, of the Department pursuant to Section 3(E), and of their staff shall be funded by the reasonable fees and fines adopted to implement the activities authorized by this Amendment. Regulatory fees, license fees, permit fees and fines shall not be cost prohibitive for eligible residents, farmers or providers. (C) The General Assembly shall provide adequate funds to cover the costs of implementing the provisions set forth by this Amendment, based on recommendations set forth by the Commissioners in consultation with the Department. (D) Compensation for board members of the Commission shall not exceed the average compensation received by board members of all other Ohio governmental Commissions. Any section of this Amendment being held invalid shall not affect the application of any other section that can be given full effect without the invalid section.